May 18th presented the first high risk in the Central Kansas region in five years. 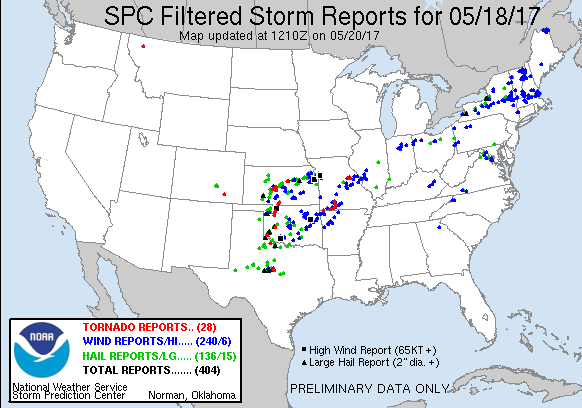 At the surface, a low pressure over southeastern Colorado was forecast to drift east along a warm front through Central Kansas while a dryline sharpened throughout the day from Western Kansas down into Texas. Rich moisture was streaming north across the target area with 70°F dewpoints in Texas and mid to upper 60°F dewpoints into Kansas. 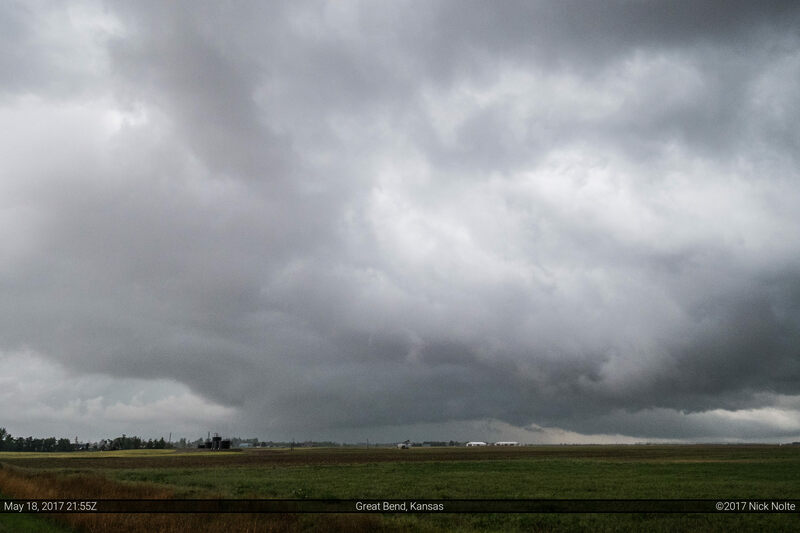 Very favorable low level shear was present along the frontal zones as well as across the warm sector setting the stage for a possible significant outbreak of severe weather. While the dynamics of the setup were very promising for a potential outbreak, models, again, were hinting at early initiation across Western Oklahoma as well as a lack of isolated cells. These appeared to be triggered as a wave migrated from New Mexico into the Texas Panhandle. Meanwhile, to the north along the dryline and triple point in Kansas, initiation looked to be later in the afternoon. 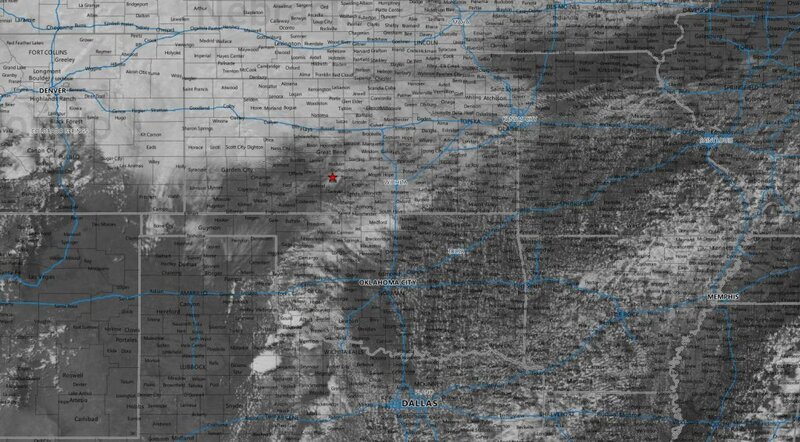 I decided to play the Southern Kansas target hoping for a later show and perhaps some additional capping to keep convection from occurring until later as well as more discrete. I left home around 14z and began the trek southward towards my initial target of Pratt. Pratt looked like it was in prime position along the triple point and as the warm front lifted north throughout the day it should become a favorable location for initiation. After passing through Russell around 17z the mesoscale discussions started to be issued for the Western Oklahoma/Texas target, it, indeed looked like initiation there was going to be early. A PDS watch was issued within the hour as initiation had taken place and a couple cells exploded near Altus and another further south near Paducah, TX. Menawhile, cumulus had started to form northward along the dryline to the warm front but there was still evidence of a capped environment the further north you went. 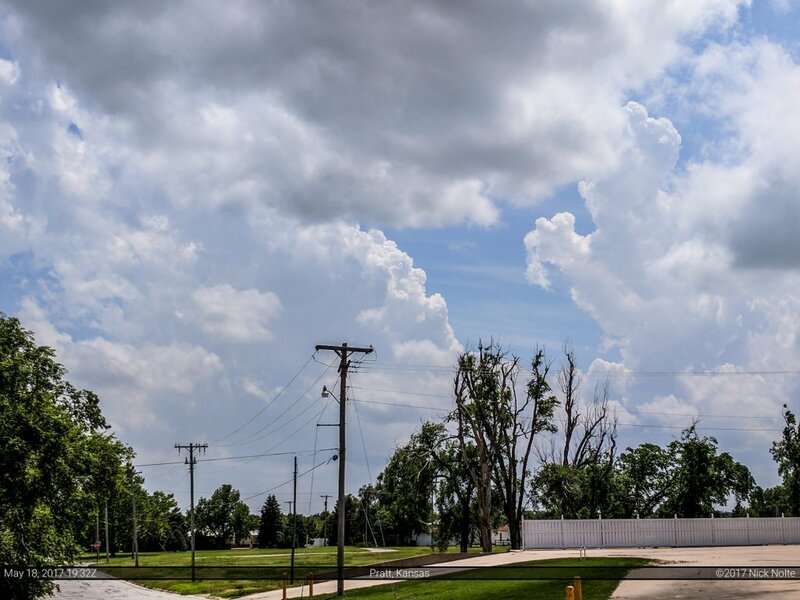 Eventually I arrived in Pratt and met up with Jonathan Williamson while we grabbed lunch and anxiously waited for our area to develop while being enticed by the flurry of tornado warnings on the targets to our south. Eventually, around 19z a mesoscale discussion came out for Southern Kansas indicating a PDS watch was incoming and it was issued a little over an hour later after 20z. 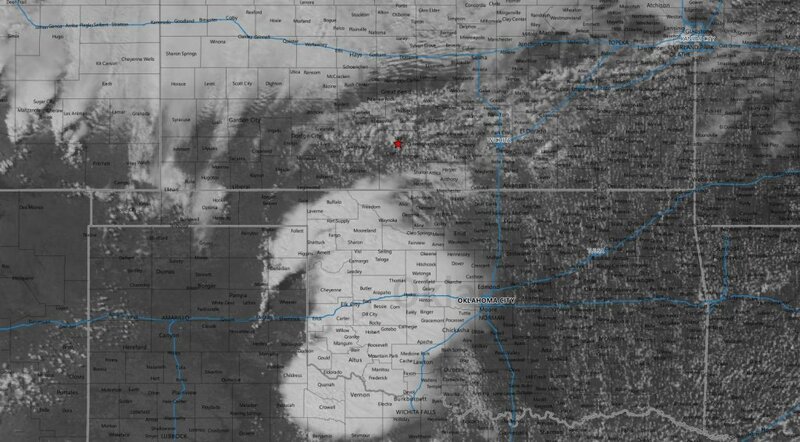 By this time newer storms had developed along the northern fringes of the Oklahoma activity as well as a strengthening cumulus field over us at Pratt and surrounding areas. We sat around at the Subway in Pratt watching the cumulus percolate around us. It was pretty obvious that initiation was imminent. Eventually a cell started to go up to our north, so we went northeast out of town and it took us a few minutes to realize that storms were actually moving north, and maybe even a little west of north. So, we had to backtrack a bit. As we were driving up US 281 tornado reports came in from the storm we were heading towards and once we arrived it was clear we had missed the show by a few minutes. We followed along with these storms for a little bit, but it appeared that they weren’t going to do much more. Jon and I went on our separate ways and I went north to continue tracking these storms. A tornado warning was issued for Salina as an embedded supercell appeared to ramp up there and had a nice couplet on radar, but ultimately I could not get to it in time. After that, most of the storms along the warm front began to congeal into a mega mess and fall apart so I called the chase and began the trek home.